I’m always on the lookout for a good pair of jeans, mainly because as a petite girl it’s hard to find a pair that fits you well. I love my Loft jeans that I purchased this summer but they’re all ankle length and don’t seem to be thick enough for the winter, so the search for a pair(s) of thicker denim started. I’ve been eyeing some mid to high waisted jeans for a while, they seem pretty on trend and even though I’ve never had a pair, I’ve always liked the fact that it sits higher (don’t need to worry about constantly making sure it’s pulled up) and makes your legs longer which is a major plus for petite girls like me. 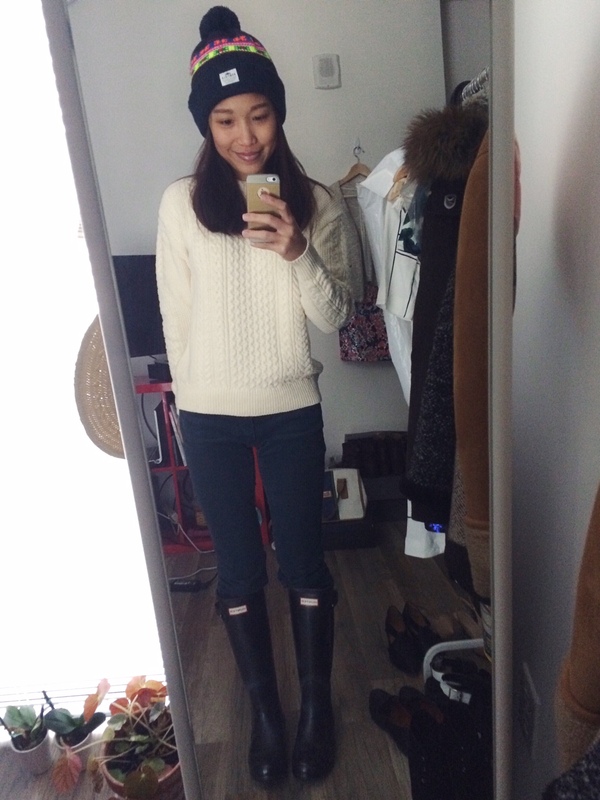 I saw this pair of Rivet and Thread Extra High Skinny Jeans on Madewell and fell in love with the wash/style, I knew it was a little higher than a normal high waisted jeans, but still wanted to try and see how I like the fit so I ordered a pair when it was on sale during Christmas. At first it felt really weird to wear such high waisted jeans and I wasn’t sure about the look because I’m not used to it, but I kept it anyway because it was so comfortable! After having a pretty good experience with this pair of jeans from Madewell, I went on eBay to look and see if there are any available for cheaper than retail so I can try them out without breaking the bank. I stumble upon this pair of High Riser Skinny Skinny in Atlantic for less than $30 (currently selling for $125 on Madewell.com still), once I tried it on I knew this is going to be my new go-to fit! I love how it sits on the waist – high but not too high, it’s also extremely comfortable even when sitting down for an extended period of time, which is very important to me because I wear jeans to work quite often. I was very lucky to find a pair that fits me perfectly on the first try, especially on a site like eBay where return sometimes is not an option. I ended up finding another pair of black ones a week ago also for less than $30, I’d say I’m one lucky girl. 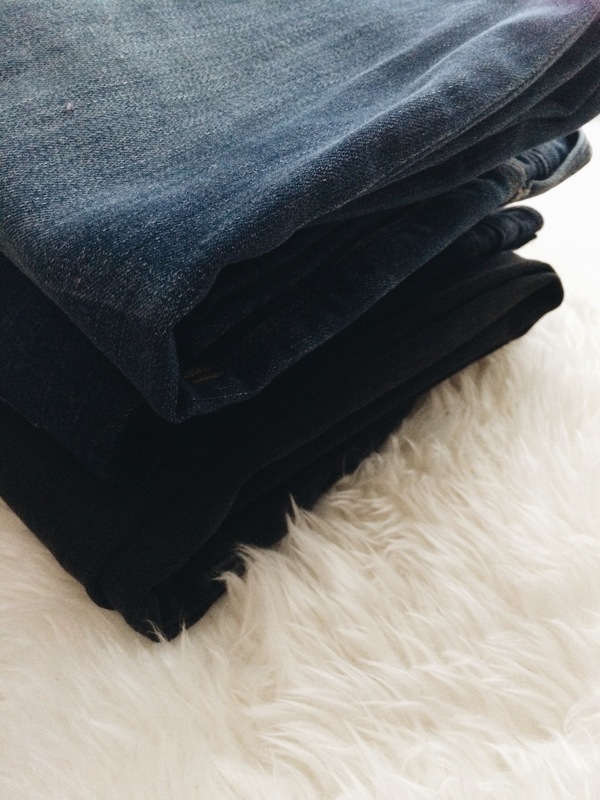 Now that I have 3 pairs of jeans in my go to shades (dark denim and black), I’d say my search for denim is over… for now!